Bang & Olufsen are recognised for their impeccable technology and sleek design. Their products ensure a superior sound with optimum clarity and powerful bass. 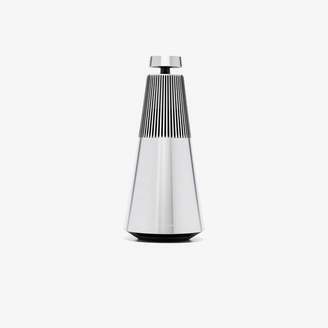 This silver aluminium Beosound 2 speaker from Bang & Olufsen Beoplay features 360 degrees sound and is wireless, multi-room functional and equipped with The Google Assistant.